Germany is an economic giant but a political dwarf. Ever since the run-up to the First World War, this thesis has been firmly established in the conservative camp and it remains the basic assumption of a century of German foreign and security policy. In the end, it has come up against one problem in the tradition of the so-called realistic school of international politics: In the present world of states how does my state actually achieve more security and power? In the struggle to assert itself within capitalist competition and the anarchic, inhospitable international political order, how can it come out on top, how can it achieve, maintain, and extend hegemony or primacy? In none of the capitalist centres are there significant alternatives to the crude business of power maximization – at most ‘liberal imperialism’ or ‘liberal internationalism’ variants offer slight mitigation, but they have always tended to militarism. How will the political dwarf become a political giant playing in the ‘global players’ league, which is the way the paper Neue Macht, Neue Verantwortung (New Power, New Responsibility), published in September 2013 by the influential Stiftung Wissenschaft und Politik (SWP) jointly with the German Marshall Fund (GMF) put it? How is this ‘awkward problem of size’ (as former German Chancellor Kurt Georg Kiesinger put it in 1967) to be overcome? And what actually is a giant nowadays? Discussion of a new power politics for Germany has become continually more heated ever since 2010. This has involved a politics of language, which is constantly putting new clothes on old concepts: self-confidence, shaping, responsibility, leadership, the reluctant hegemon, leadership expectations. This language is based quite trivially on a ‘commercial realpolitik’ (Rawi Abdelal) that watches over a ‘commercial realism’ (Szabo 2014). The weight of this type of realism focused on foreign-trade and international-economic-relations realism is growing. Germany’s ‘new power’ primarily rests on the hard power of a by now global expansion of the German economy; its political representatives function as spokespeople for a neoliberal world order, that is, a world of free trade that most accommodates the needs of the strongest economies. these two-thirds were German exports. This is the fundamental background of the current confrontation over the Transatlantic Trade and Investment Partnership (TTIP) as a ‘gigantic geostrategic opportunity’. Closely connected to this is Germany’s presence as the ‘supplier of the world’s industrialization’ (Sigmar Gabriel, Vice-Chancellor, SPD). Alongside China, the USA, and Japan, Germany is among the world’s strongest export-oriented economies, and at the same time Germany’s is the dominant economy of the European Union. Its export industry and finance capital are the principal protagonists of the German model of capitalism. In the new industries before 1914, Germany had already become the leading export nation with its industrial structure built on chemical, steel, energy, and consumer goods production. With this it generated a basic economic strategy, which still today crushes any alternative. ‘Germany Inc.’ is rapidly transnationalizing itself. Germany’s export rate has almost doubled between 1991 and 2013, from 22.2 per cent to 40 per cent (Statistisches Bundesamt 2014, 428), and German direct investments abroad rose from €134-billion in 1991 to €1,200-billion in 2012 (Bundesministerium der Finanzen 2014). In this process, the internationalization of German capital in recent years has led to continually more conspicuous advantages of power and position within the European power bloc – principally to the detriment of France. In the eastern and southern European countries, in Austria, Italy, or the Benelux countries, German capital dominates in a whole series of sectors and has rapidly improved its position in France and naturally in China. By contrast, the position of German finance capital within the European construction is clearly weaker and has come under political and ideological pressure (Heinrich 2014). Europe’s financial sector continues to be de facto closely tied to Wall Street, via Great Britain, and to transnational financial capital, in relation to which the very distinct German finance capital plays a decidedly subordinate role. However, its power rests on an unusually strong creditor position and the capacity to enforce ‘German’ positions in the crisis in the area of financial and monetary policy Europe-wide (for example, the Fiscal Pact) and, together with German industrial capital, to anchor the austerity course; there is hardly any reference made to the European social model. Germany’s industrial and financial protagonists were thus in a position to take advantage of the crisis that has been ongoing since 2007/2008, to change the economic constellation of power in Europe and, with the new division in Europe, to create the basis for Germany’s increased political power. This economic rearrangement of Germany’s geopolitical situation – by no means a typical case – is the main result, from the point of view of hegemonic politics, of the Great Crisis in Europe. In his analysis of the 1929 world economic crisis, U.S. economic historian Charles P. Kindleberger (1973) coined the term “hegemonic stability” to indicate the role of the Federal Republic. If the world capitalist economy is unstable and crisis-ridden then it needs the most powerful country to play an active leadership role. Hegemony, according to the theory, does not destabilize but enables stability. By now the German elites have in many ways assigned themselves the role of ‘hegemonic stabilizer’ and not only in Europe. This positively connoted notion of ‘stability’ as a public good is accompanied by a semi-official discourse that largely avoids the everyday distinction between ‘middle-sized power’, ‘great power’, and ‘world power’. It is replaced by the silky soft concept of Gestaltungsmacht (the power to shape things) with its sense of industriousness and joy in action. In reality this is about hegemonic power, a contested German hegemony in the making. What Does Hegemony Mean Here? In the first place, the positioning and recognition of Germany as a global player presupposes that it has, and is extending, a distinctive leadership position in the EU and to this extent is therefore reinforcing inequality in Europe. Germany’s ‘surrounding environment’ has to be influenced by its foreign and security policy in such a way that it is useful to the German model of capitalism and its leadership function in Europe and weakens the position of political competitors. In this respect, in terms of power politics, the new asymmetry between France and Germany and the erosion of the French state capitalist model is really of historic significance – the ‘cooperative hegemony’ of the two West European continental powers has long since become asymmetrical. “Pour les allemands, la France est un pays sur le déclin” (For the Germans, France is a country in decline, Le Point , 8 April 2012). This is the singular interest of the hegemon. It is directed toward power maximization and leadership against the competing claims of other protagonists. Second, this requires a policy that at the same time addresses the fundamental interests of the other European states and thus contributes to strengthening Europe as a global player – this is the specific interest of the hegemon. “In the future, Germany,” in the words of the SWP-GMF paper, “will have to lead more frequently and more decisively […] along with others and considering others.” Not ‘against others’. The involvement of the main protagonists in Europe is certainly a condition. A debate launched by the Foreign Ministry in its website Review 2014 draws the following balance sheet on foreign policy questions: “Only if the member states act in concert in terms of foreign policy and integration policy, will Europe add the political weight to the scales that Germany needs in order to realise its interests.” The central goal of these interests is: “More German leadership in and through Europe” (also see Bendiek 2014, 60ff). austerity policy, dismantling national sovereignty and democracy, favouring large states, and preferring inter-governmental solutions and informal leadership circles (Hellmann 2010, 5). policy of inequality outwardly and inwardly. Accordingly, in its external relations Germany becomes the driving force of an authoritarian capitalism. Acceptance and consensus depend on whether the hegemon is at the same time in a position to advance and represent the project of the making of European capitalism. This is so decisive because a twofold austerity policy internally and externally has not only ecological limits but above all economic ones: there is the constant loss of customers – internally and externally. Third and finally, it is precisely export and financial capital that is oriented toward global production chains and trade flows. The reference to ‘globalization’ in the SWP-GMF paper consequently plays a central role. Since Germany profits from it, German foreign policy is necessarily confronted with the problem of ensuring the working of this global order: ‘The preserving and further development of this order therefore is Germany’s paramount strategic goal – if only out of self-interest’ (SWP-GMF 2013, 12). The third global task of a hegemon consists, as Leo Panitch and Sam Gindin (2012) put it, in making this process of global expansion of the economy, because it is not a blind, inevitable development of the economy. Republic of Germany requires the successful development of Europe’s imperial qualities – not least against the ongoing dynamic toward a ‘world with less West’, thus also for the safeguarding of an American Empire, pursued for decades by Europe, which functions as its subimperial node (‘junior partnership’) and at the same time with the aim of its own sovereignty and far-reaching autonomy. How is Germany doing in this exercise of hegemonic competition? A European hegemon has to play three cards if it wants to be successful. Habermas recently spoke of Germany’s semi-hegemonic position and was apparently referring to the major destabilizing effects of German crisis policy. With this the federal government has indeed already quite successfully deployed the first card of its own interests in power maximization with remarkable success. But its price was a lasting crisis in wider Europe. 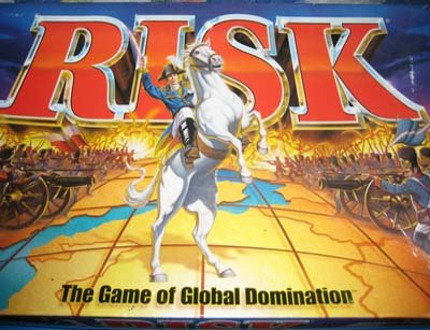 The role of the second card – representing European Interests (‘the making of European capitalism’) – in the game of hegemony is not really that obvious. Moreover, the first card could become worthless, for the continually increasing instability in terms of domestic policy and the domestic economy in many countries not only threatens the cohesion of the EU but also Germany’s leading role within it. 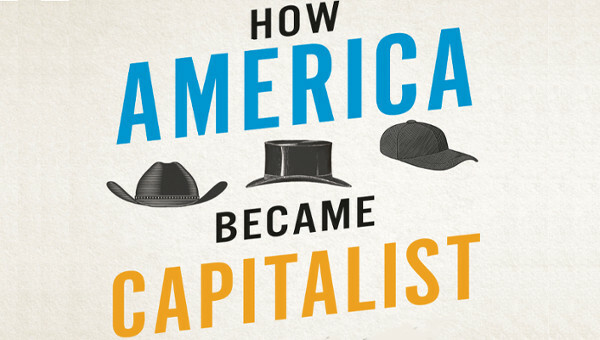 card: the making of global capitalism? Here we meet the figure mentioned at the beginning: the political giant. Does this giant actually have a name? When the question of the changed role of the U.S. came up after 9/11, the Guardian (19 August 2002) proposed harking back to the “gorilla of geopolitical designations”: the American Empire, the imperium. In contrast to other protagonists, empires always relate to what the ‘world’, what the world order, is. “Empires are in the business of producing world order” (Maier 2002). The definition of imperial necessarily takes into account the true capacity for shaping the world order, hence also to an aspiration to a new geography of the global. The new world order, which is so much talked about now, is a new order of the imperial world. The protagonists of competition around the reconstruction of the world system and the appropriation of its central loci of capital accumulation and concentration of political power are empires. The discussion of ‘inter-imperial rivalry’ (Laura Doyle) and the diffusion of geo-rhetoric shows that new life has filled this competition (Doyle 2014; Rilling 2008 and 2013; Bieling 2013 and 2014). However, looking only at the world of states, in which so-called interests are mediated, is not enough. Empires are alliances formed from state, enterprise, and civil-power organizations. They combine material, ideal, administrative, and militarist capacities. Geopolitics, and thus the acquisition of space and territorial sovereignty, is a means of amassing additional resources in new spatial orders of transnational capitalism. At present, the USA, the European configuration of states, and China are the only political entities that can in this sense pursue an imperial project that aims at a world order tailored to their needs. And Germany? Germany is no empire nor will it become one. However, collaborating in the construction of an imperial Europe, in order to achieve a leadership position and maintain it, seems to be the currently foreseeable royal road of German realism. The art and politics of hegemony in the making consists of cleverly bringing the constantly newly shuffled cards into play on this long road. The country that claims a hegemonic role in Europe – as the SWP-GMF paper explains – must adapt itself to filling a geopolitical ‘power vacuum’ in a world with new emerging powers and the USA’s relative loss of power in the western world. It must exhibit the intention and real capacity to intervene sustainably in the order of global capitalism and with global aspirations to shape reality. 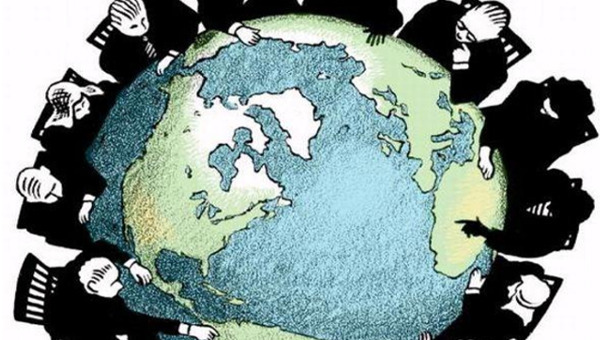 It must connect the economic logic of capital accumulation on the level of the world market and the political logic of expansion of power in global conflicts. The Federal Republic is certainly seen as the world’s most powerful middle-sized country – but it is no more than this. However, if we look at the current score of the global champions league of asset holders, that is, billionaires, we see that since the beginning of the century the federal German team has nimbly pushed forward into the top group while giving the Federal Republic world champion status in inequality rates. And in the case of Ukraine we see something more: the readiness to carry out this policy not just diplomatically but also by means of military force and the ‘robust projection of power’. It all belongs to the tool box of any global player. In any case, the Ukrainian conflict made it possible to not reduce military expenditures despite the financial-market and debt crisis. When Defence Minister Mrs. Von der Leyen poses with a steel-blue-grey expression, what is at issue here, in contrast to the question of wealth and the politics of inequality, is still ‘normalization’, not dominance. European military competence still lies exclusively with NATO, and the European security apparatuses both with France and Great Britain. 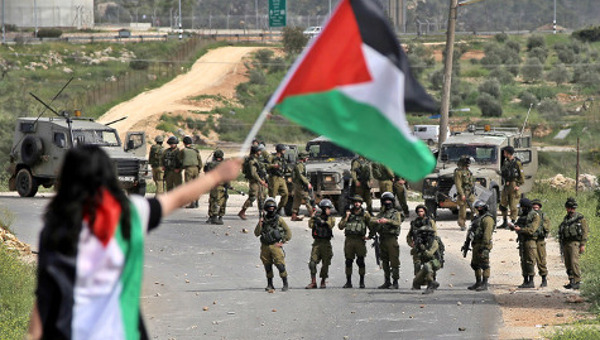 At no time previously has the EU bloc ever been involved in so many violent conflicts as it presently is in southern and eastern Europe and its ‘neighbouring’ zones. This politicization of the EU’s foreign relations reflects its activity as an imperial power in the battle to extend the zone of influence of the ruling European bloc: empires become rather than exist; expansion is their logic. Intensive phases of imperial activity of this quality durably ground politicized patterns of thinking and behaviour. The ‘normalization’ of German military and security policy therefore means demonstrating in an ‘empire by invitation’ (Geir Lundestad) that it can bare its fangs at the periphery (in Ukraine), reverse good relationships (with Russia), and exclude (Greece from the Eurozone). In order to function as a leadership power in an imperial alliance the FRG is being asked to swing more sharply toward the classical model of a ‘liberal internationalism’ that ties diplomacy in cosmopolitan dress and a politics of dialogue to a strong military hand. At the centre of this model of imperial expansion there is still the distinction between a civilised core, a poor periphery, and inferior surroundings in need of development, which is gradually assimilated on probation as neighbour, friend, partner, and candidate in order to receive a final upgrade as a member of the European empire. Bendiek, Annegret, 2014: “Abschied von der Juniorpartnerschaft. Für mehr deutsche Führung in und durch Europa,” Internationale Politik 5/2014, 60-66. Bieling, Hans-Jürgen, 2013: “Die krisenkonstitutionalistische Transformation des EU-Imperiums: zwischen autoritärer Neugründung und innerem Zerfall,” Das Argument 301, 34-46. Bieling, Hans-Jürgen, 2014: Cooperative Imperialism? The Global Political Economy of Contemporary Germany , unpublished manuscript. Bundesministerium der Finanzen, 2014: Monatsbericht September, Berlin. Deppe, Frank, 2014: Imperialer Realismus? Deutsche Außenpolitik: Führungsmacht in ‘neuer Verantwortung’ , Hamburg. Doyle, Laura, 2014: “Inter-Imperiality, Interventions,” International Journal of Postcolonial Studies , 2/2014, 159-196. Gindin, Sam and Leo Panitch, 2012: The Making of Global Capitalism: The Political Economy of American Empire , London. Heinrich, Mathis, 2014: “Das transnationale Kapital und die Bearbeitung der Krise(n) in der Europäischen Union,” Prokla 175, 2/2014, 237–254. Hellmann, Gunther, 2010: “Normativ nachrüsten. Deutschlands neue Rolle in der Welt und wie sie zu gestalten wäre,” Internationale Politik 10/2010, 1-6. Kindleberger, Charles P., 1973: The World in Depression: 1929-1939 , Berkeley, California. Lehndorff, Steffen, ed., 2014: Spaltende Integration , Hamburg. 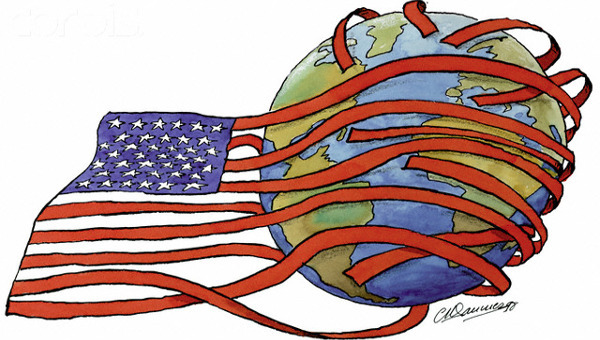 Maier, Charles S., 2002: “An American Empire?,” Harvard Magazine 6/2002. Rilling, Rainer, 2008: Risse im Empire , Berlin. Rilling, Rainer, 2013: Was ist Geopolitik? Ein Streifzug, in: Wissenschaft & Frieden 1/2013, 6-10. Statistisches Bundesamt, 2014: Statistisches Jahrbuch , Wiesbaden. Szabo, Stephen F., 2014: “Germany’s Commercial Realism and the Russia Problem,” Survival: Global Politics and Strategy 5/2014, 117–128. Stiftung Wissenschaft und Politik (SWP) and German Marshall Fund of the United States (GMF), ed., 2013: Neue Macht, Neue Verantwortung. Elemente einer deutschen Außen-und Sicherheitspolitik füreine Welt im Umbruch , Berlin. Rainer Rilling is a Senior Research Fellow at the Rosa Luxemburg Foundation.